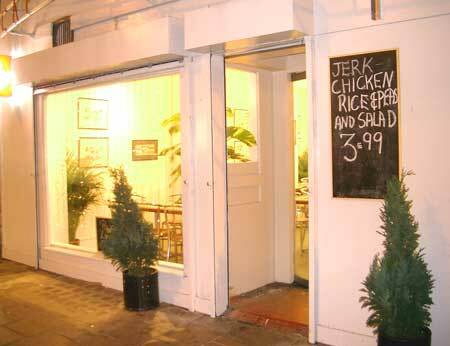 The CaribAraMa Caribbean restaurant is the premier venue for Caribbean cuisine in the North London area. 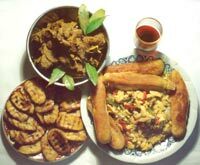 Check out our menu page for a mouth watering selection of Caribbean dishes prepared to perfection. Join us for the very special atmosphere created by the mix of good food and live music. If you are looking for breakfast, lunch, dinner or just a takeaway, we have a choice selection of delicious Caribbean dishes to tempt you. Are you planning a party or organising a luncheon buffet? We have the venue to cater for your requirements, large or small. With our spacious hall next to the Caribbean Grill outdoor area, we can cater for events of all sizes from buffets to barbecues, from a light lunch to a formal dinner. We're moving after the end of March so we are not able to take any event bookings for the moment. Further information will be posted here when available.